I'm a little surprised that I'm writing about music two days in a row, but why not? I discovered on Friday that yesterday was the yearly Shabbat Sirah or Sabbath of Song in some traditions of Judaism. It is an opportunity to focus worship on music and the many ways in contributes to our life together in every aspect from praise to lament. 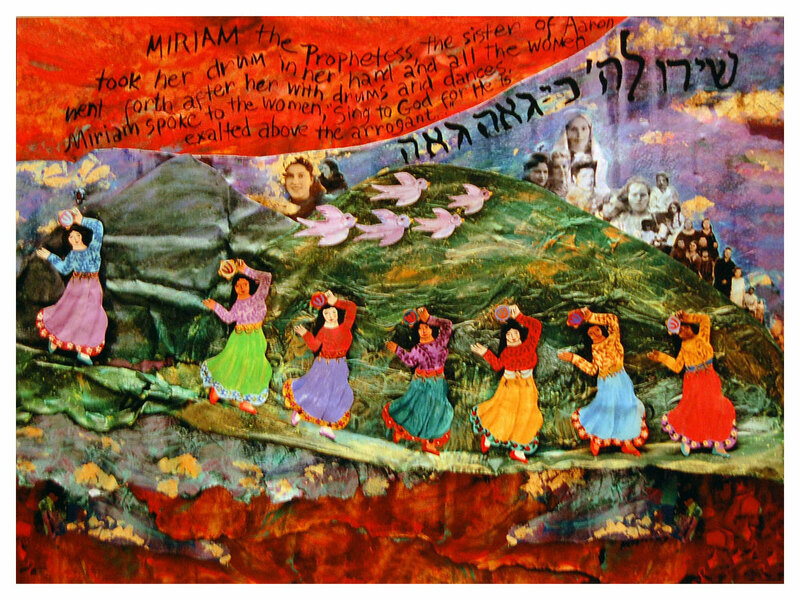 The scriptural anchor for this Sabbath is the story of Miriam and her song of celebration once the people of Israel are delivered from the pursuit of Pharaoh's army through the Sea of Reeds. As a cultural historian, I have been studying the relationship between music and religious experience for two decades. Music has been crucial to religious experience across history and region. Sacred music has a unique ability to engage both body and mind. It brings people together in expressing gratitude, praise, sorrow, and even protest against injustice. This is so true, so well expressed. In the first months of my retirement we rarely got to church for a number of reasons. We've begun attending son Isaac's congregation and I enjoy singing again, especially since they incorporate newer hymns into the service. Shabbat Sirah is a Jewish observance so I was curious to see whether Shaar Hashomayim, the synagogue of Leonard Cohen's youth will be doing so. The choir and cantor from the synagogue sang on Cohen's last CD and at his memorial concert last Fall. Yes, they did recognize the Sabbath of Song, as you can see from the poster. Does music both console and encourage you? Could you worship meaningfully without music? Should we all figure out a Sabbath of Song at this time of the year, regardless of tradition? Music is and always has been very important to me in worship. I remember the words of hymns and anthems long after I have forgotten a scripture reading or a sermon (sorry, David). It is hymns that comfort and strengthen me in tough times. Although it probably shouldn't be considered "music", I consider the Call to Prayer at mosques to be musical and I find it to be very touching.